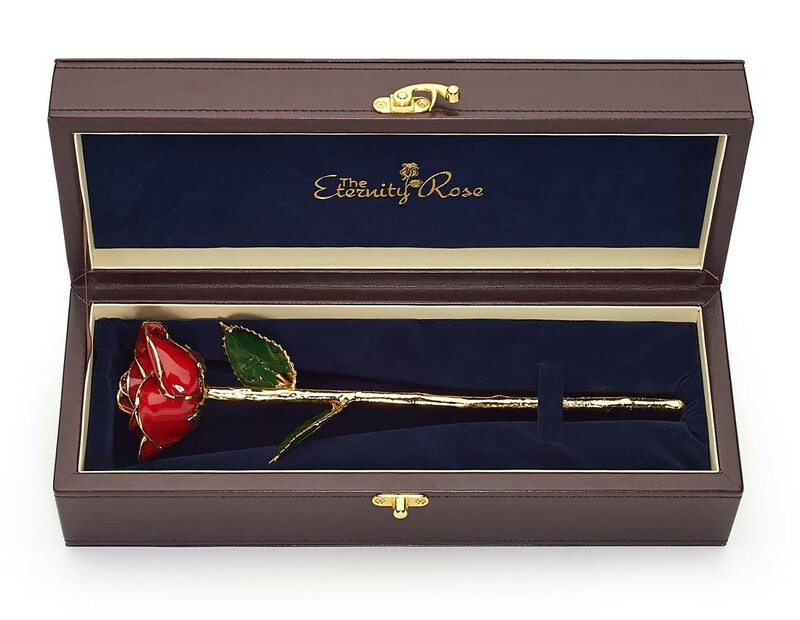 A real red rose which has been hand-picked at its height of beauty. 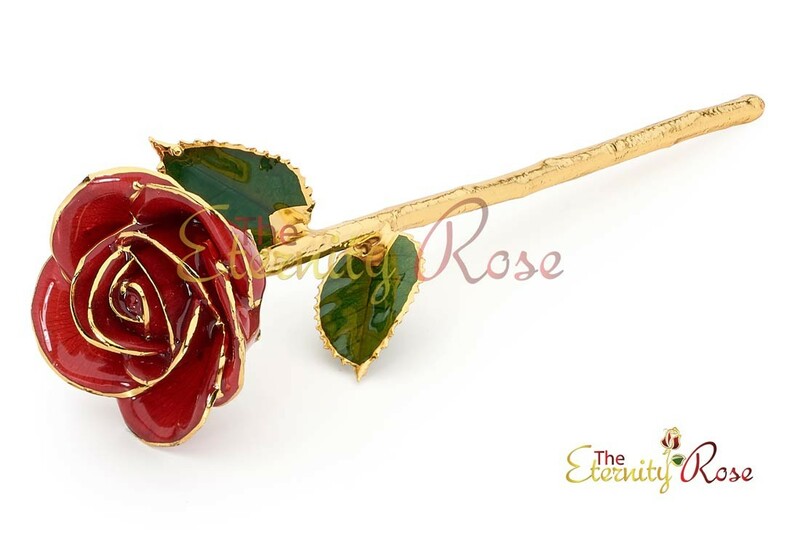 Formed from a real red rose, each glazed Eternity Rose is produced in an electroforming and glazing process. 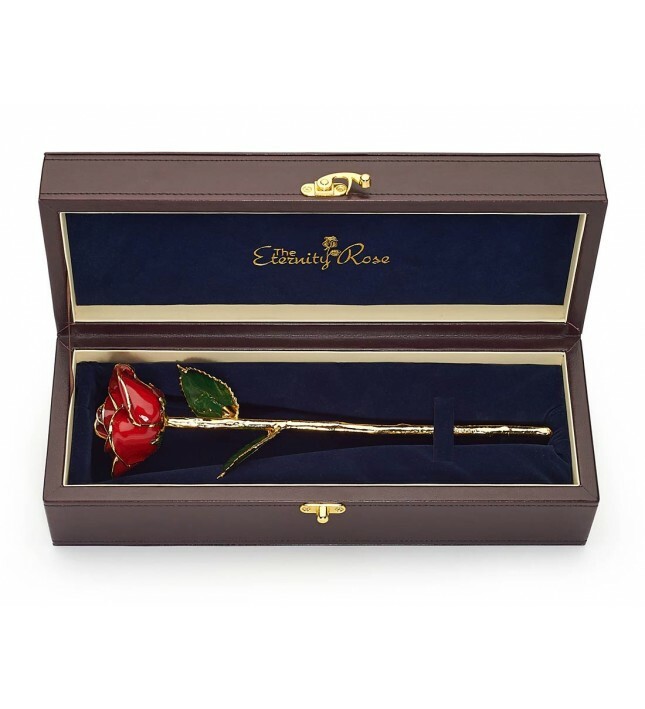 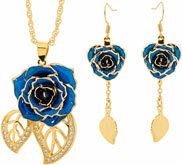 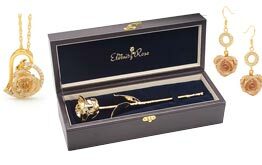 Each individual rose is entirely unique, with leaves and petals that are beautifully embossed with purest 24 karat gold. 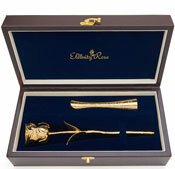 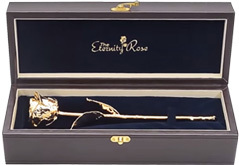 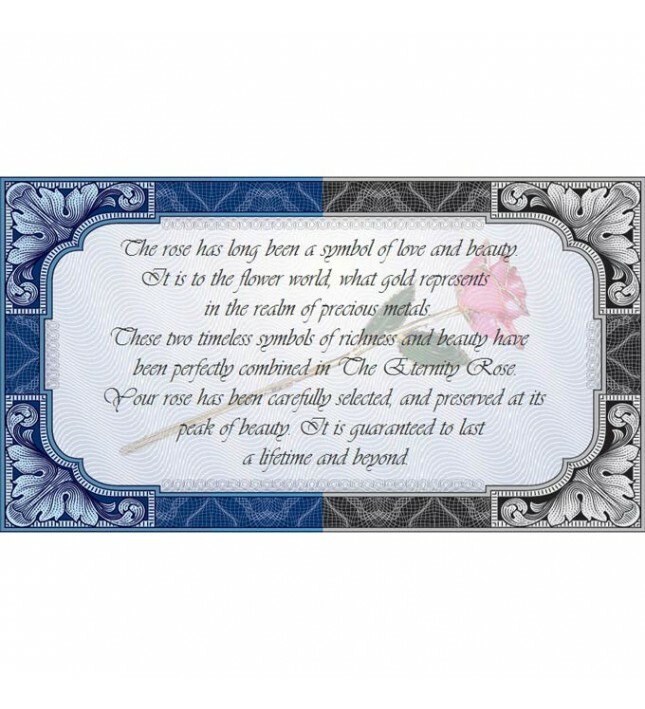 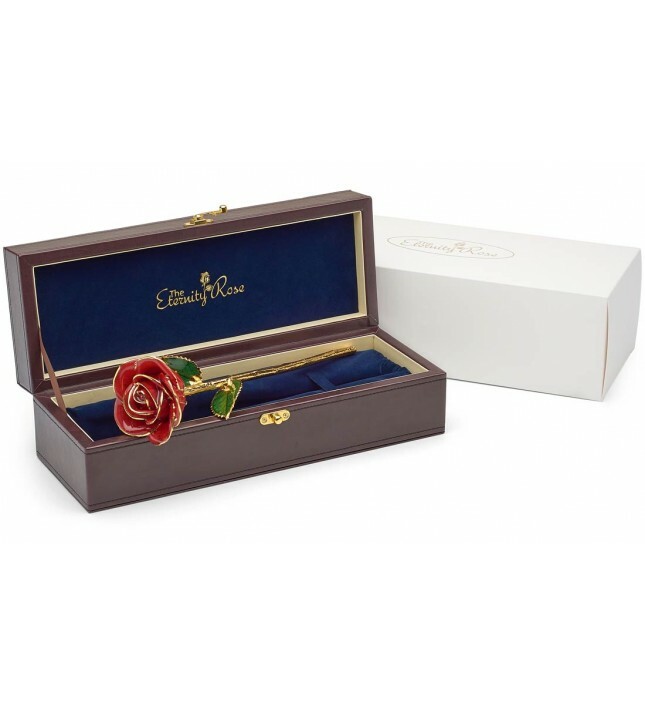 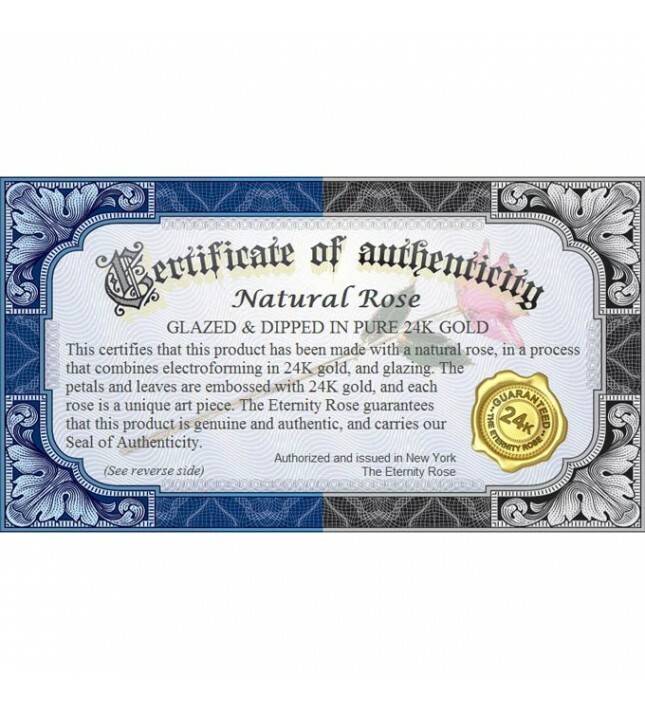 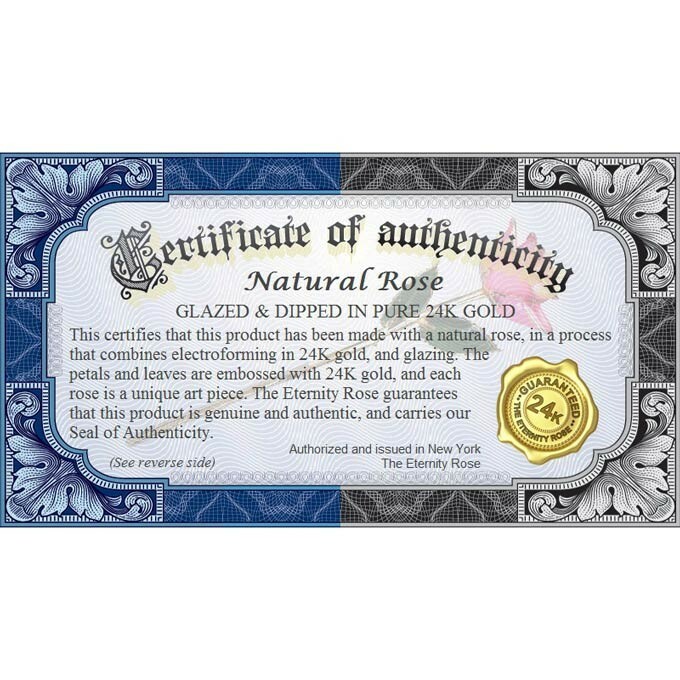 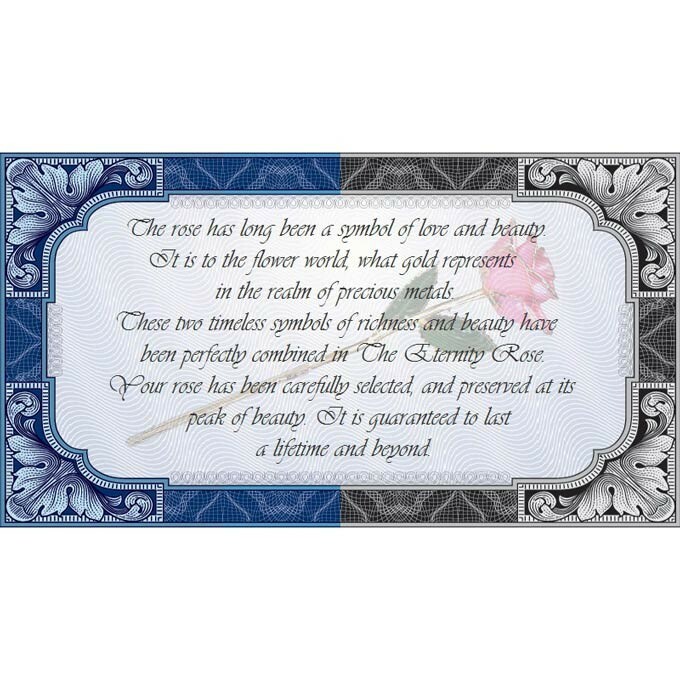 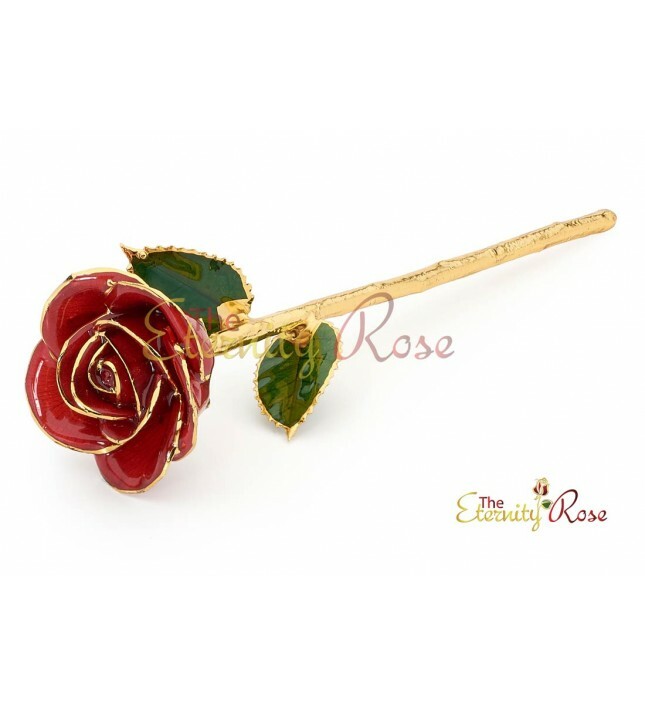 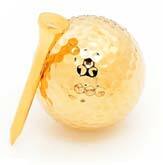 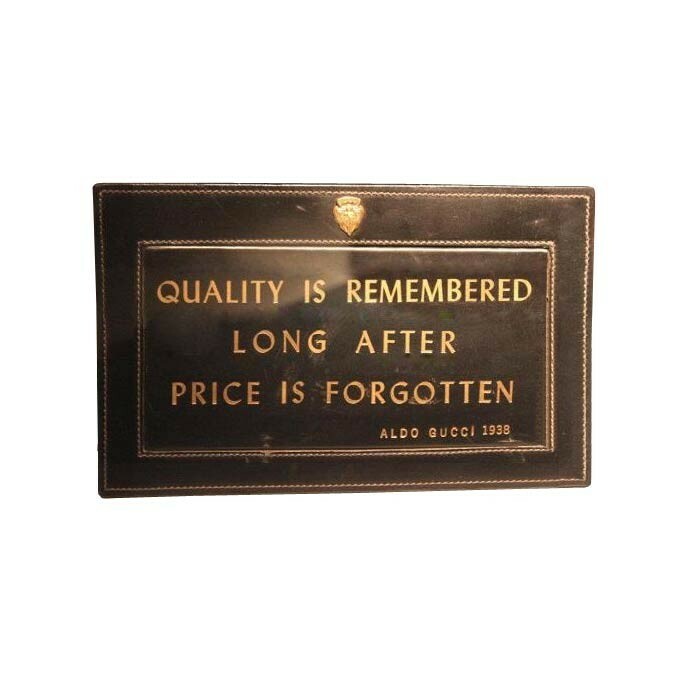 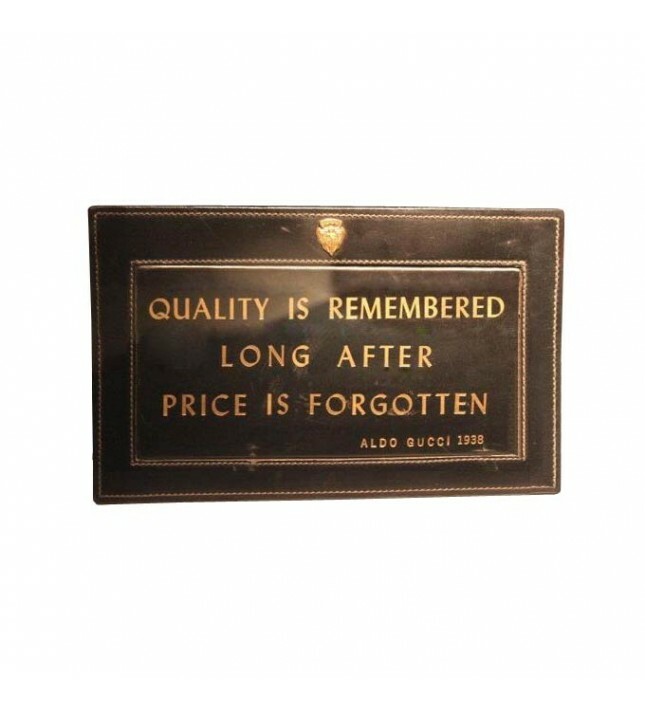 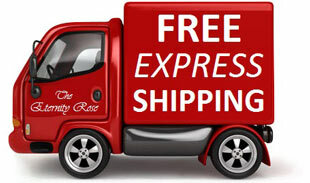 Every Eternity Rose product is supplied with a Seal of Authenticity, guaranteeing its high quality. 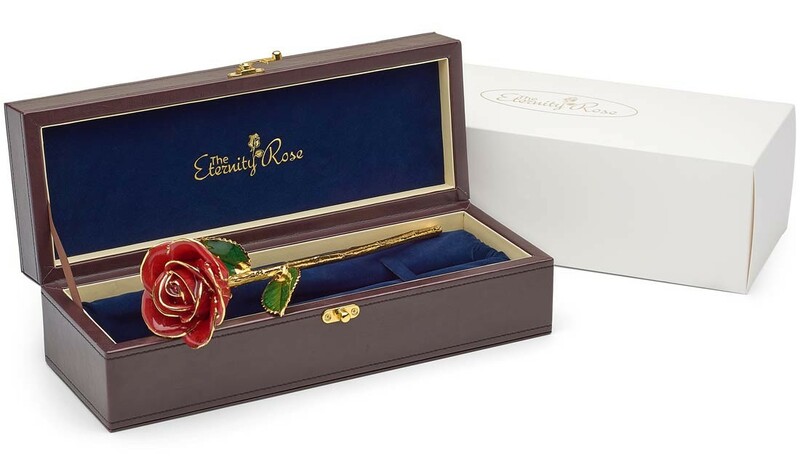 There is no more iconic symbol of love than the single red rose and now, The Eternity Rose has taken this token, and turned it into a work of art that can be displayed proudly as a lasting testament to love for a lifetime.